“Money makes the world go around” – I think we all shall agree to this statement. Right now, money is still a taboo and personal finance has not yet found a way into the curriculum of schools and colleges across our country. This is a huge conflict of interest as far as real life education is concerned. As per several pieces of research, it was revealed that pre-schoolers were able to grasp the concepts about money and finance with each. This says a lot since most of the adults today are unable to. If you believe that sheltering kids from financial realities and living in denial is good parenting, then remember, the apple does not fall too far from the tree. You may be contributing to creating a similar adult, who will make the same financial mistakes as you did in your life. You might reconsider your position since you may be inadvertently robbing them of valuable financial lessons which they would need later in life. 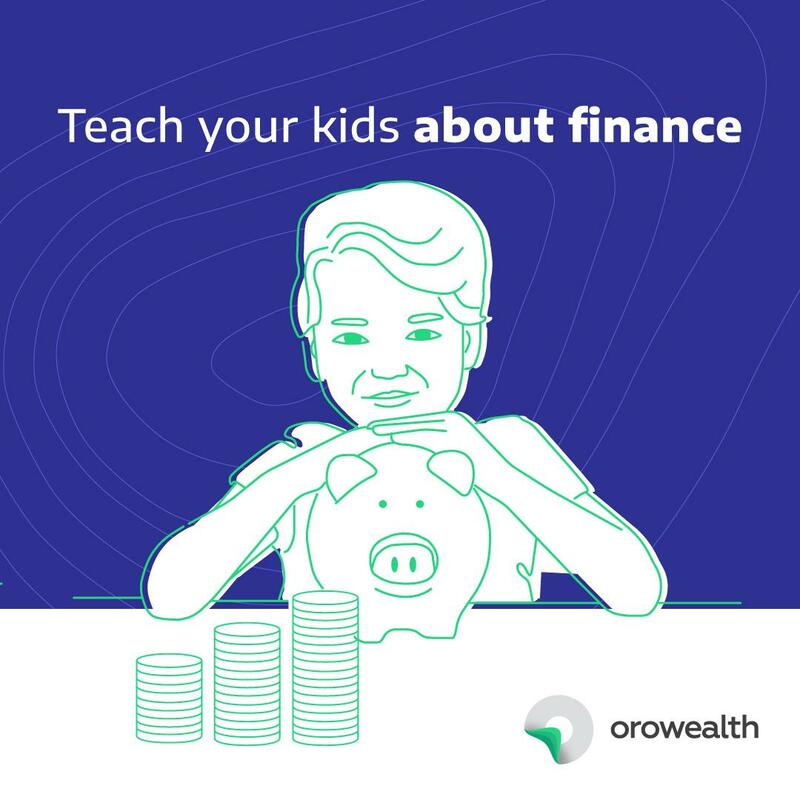 One of the most treasured life skills that can be taught to a kid is personal finance and it is never too early to start. Let us find out a few ways to imbibe smart financial habits onto our kids. Our perception and belief about money has a huge impact on our lives and is closely tied to prosperity. How we perceive money stems out from what we see, hear and experience since childhood. As children grow up, they observe everything, from how buying decisions are made to how their parents react to adverse financial situations. Most parents unintentionally send out powerful money messages, without realizing the impending influence on their child’s life. The best way to deal with this is to break the ice around money matters and talk to your kids about how and why a particular financial decision is made. One practical opportunity to teach this is during family market trips, where one can teach the child about how they compare products, which products are overvalued, undervalued or on the money and finally how they arrive at their decision. “Money doesn’t grow on trees” is perhaps the most significant and hardest financial lessons to understand and pass onto your kids. The connection between work and money has to be established at an early age so that your kids can differentiate between entitlement v/s accomplishment. Instead of surrendering to the demands of your kids, put them to work and make them earn it. Teach them that the real world works on the principle of ‘Quid Pro Quo’ and one has to work or do something in consideration in order to buy the things they want. Don’t just hand them an allowance, instead assign age-appropriate household chores as simple as watering plants or cleaning their room and reward them appropriately for completing tasks. Not all the purchases that your kids make from their earned allowance shall fall under smart purchases, but it is crucial that they make mistakes and learn from them. Children are going to make dumb choices, but you’d have to make them realize that money doesn’t flow out of the wallets of their parents. Instead, you have to work and work hard to get it, and when it’s gone, it’s gone, one has to make careful decisions. This will also teach them the importance of being patient and plan out their money throughout the month without recklessly spending it all at once on something that they don’t even need. It is better they have a hand at making small inexpensive mistakes early on rather than make an expensive one along in the future. Tears now will save a lot of tears later on in life. Saving money is a discipline and it’s imperative that parents inculcate a habit of saving money in their kids. Here parents need to lead their child by setting an example through their own saving practices, demonstrating to them how self-control can prove to be fruitful in a larger picture perspective. Most parents open up a savings account for their kids right from the time they are born if not before. All the cash gifts received by the kid goes into building a good financial base for his/her future. Similarly, the kids should be taught to set aside a portion of their allowances as a nest egg or an emergency fund for their near or long-term future. A tangible way to boost savings is by setting short-term targets for accumulating funds, such as saving up to buy a particular video game or a particular dress which they may have been wanting for long. Along with encouraging saving, at the end of each month, they should be shown their account statements to instill a sense of motivation and accomplishment. Parents teach their kids to save, but it is usually motivated by an underlying intention to buy bigger and better things. What requires to be taught is that all savings need not be spent and instead, they can be put to work to create more wealth. A traditional savings account can prove as an easy illustrator on how savings can earn more money in terms of interest. Another method is by engaging them in how real-world investment decisions are made. For example, ask them about their favorite cereal brand or their favorite restaurant, and question them about the reasons behind why one would like to invest in those businesses/brands. Most importantly underline some important tenets such as not putting all your eggs in one basket and eliminating a risky outcome through diversification. For example, why he/she shouldn’t only bet for their favorite brand say Kellogs but should also be able to bet against it by continuously adapting and balancing their investment spend on a rival brand say Chocos. Money is such an important thing in life and it affects us all, but the take away from current practices in our society is that most of the people around us have learned financial lessons simply through trial and errors. Today’s generation face financial pressures that eventually jeopardize and limit their economic opportunities, whether it is a job they have to unwillingly take up or a business initiative that they cannot go through due to lack of money. All of this in combination with an absence of financial aptitude and negligence in financial matters can be a recipe for a grim financial future. We are essentially creating a generation of individuals who merely subsist from one pay check to another. Even if parents do not directly speak about money, children are absorbing their attitudes and their stress towards handling money. Thus the sooner parents can start taking advantage of milking everyday teachable moments, the better financial behavior they may ingrain in their children.